Scribblers' Rest: Episode 31 - Pathfinder - The Lament of Loam's End - Book 2 - The Multi-Legged Issue! 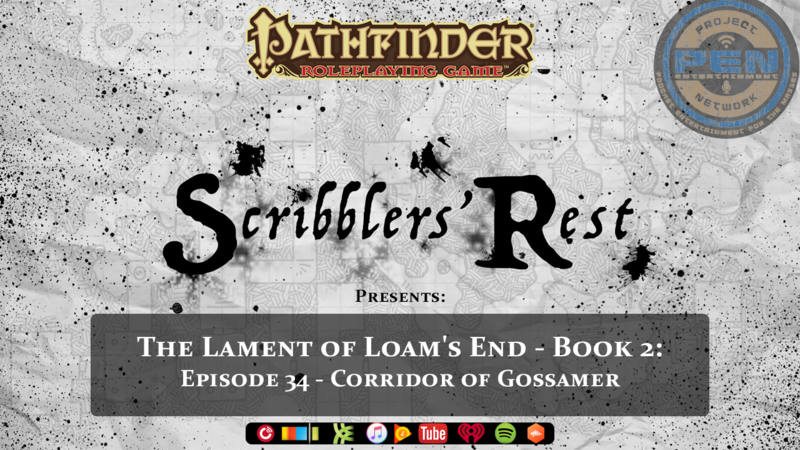 The Scribblers continue their adventures with the Firm Hand Mercenary Guild in Loam’s End: Book 2, Episode 31 – The Multi-Legged Issue! Scribblers' Rest: Episode 30 - Pathfinder - The Lament of Loam's End - Book 2 - Good Wizard, Bad Barbarian! The Scribblers continue their adventures with the Firm Hand Mercenary Guild in Loam’s End: Book 2, Episode 30 – Good Wizard, Bad Barbarian!